Orillia and surrounding area's premiere banquet facility, creates the prime location for events from weddings, private parties to corporate conferences. WPICC Event Co-ordinator on staff. Full on site catering and restaurant. 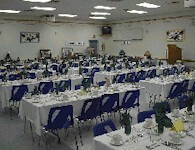 Claireport Place Banquet and Convention Centre has been in this business for over 20 years. 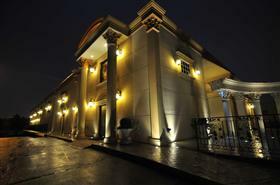 Claireport Place has four luxurious banquet rooms which accommodate 50 to 1000 guests. Whether you are planning a wedding reception, religious celebration or conference you can be sure that we will take care of everything. The Marlowe offers casual fine dining with fusion twists to its eclectic menu, a wine and martini lounge of epic ambience, creative late night entertainment and an atmosphere that ignites your senses. Make this your destination for intimate dining, large parties, private functions and corporate events. Tue - Live Jazz Band. Wed - Live Cuban Salsa Band. Thurs - Lounge. Fri - DJ, Live Percussion. Sat - DJ, Live Percussion. 51 stories above Toronto, 180 Panorama hosts over 100 private functions every year, from weddings to corporate cocktail receptions to product launches. Nestled in the heart of West Queen West, 99 SUDBURY is a multi-functional event space located steps away from some of Canada’s finest galleries, hip social establishments and Toronto’s company trendy Parkdale and Liberty Village.Event spaces combined totals 8,000 sq ft and features three dynamic spaces and two 1,000 sq ft patios that can be tailored to suit an intimate dinner party of 20 or a gala reception for over 1,000 when combining all spaces. Situated on large grounds with lake. Island gazebo can be used for wedding ceremonies. Waterfalls for photography. 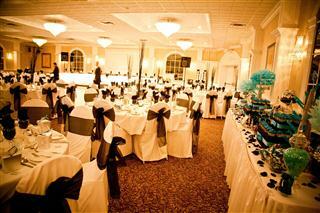 Has single banquet hall without dividers, hosting one event at a time. Outside catering required. Event coordinators on staff. Specializes in private functions. Interior features crimson walls, ornate fixtures and hand-painted reproductions of classic works of art. In-house catering. Room is divisible. Restaurant cialis specializes in Portuguese cuisine. 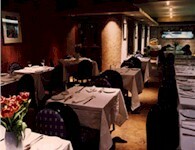 Has two rooms available for private functions. The Admiral Inn Mississauga Hotel offers comfortable and practical meeting and banquet facilities to suit your business and special-event needs with a total of 5 rooms and over 4,300 square feet of flexible meeting space with a first-class décor throughout. This multipurpose entertainment facility is home to the NHL’s Toronto Maple Leafs and the NBA’s Toronto Raptors. The arena seats 19,000, or 20,000 when courtside seating is added for basketball games. 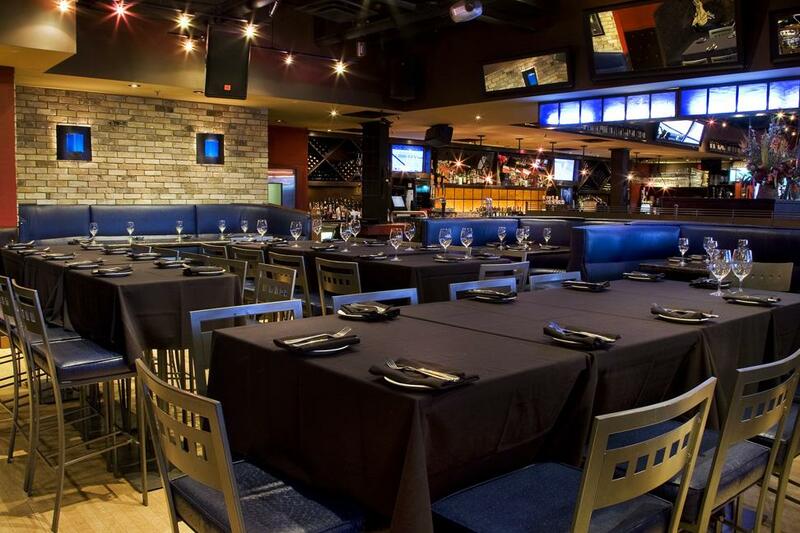 Additional event spaces range from small boardrooms to Lord Stanley’s Mug, a pub-style room with a bar and a stage that holds 700. 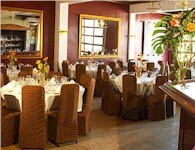 Italian restaurant has three private dining rooms accommodating up to 140 guests. Wheelchair accessible. 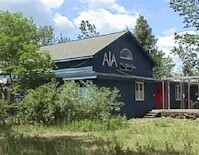 Clubhouse is owned and managed by residents of Algonquin Island. Waterfront setting with panoramic view of Toronto skyline. Theme is friendly and informal. Catering may be available from island residents - contact association for details. Note: Algonquin Island is accessible by year-round public ferry from downtown Toronto; nearest parking is on mainland. 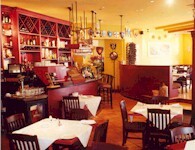 Restaurant specializes in Southern Italian cuisine. Hosts private functions on Sundays only. Restaurant holds 120 guests. Offsite catering available for up to 250. 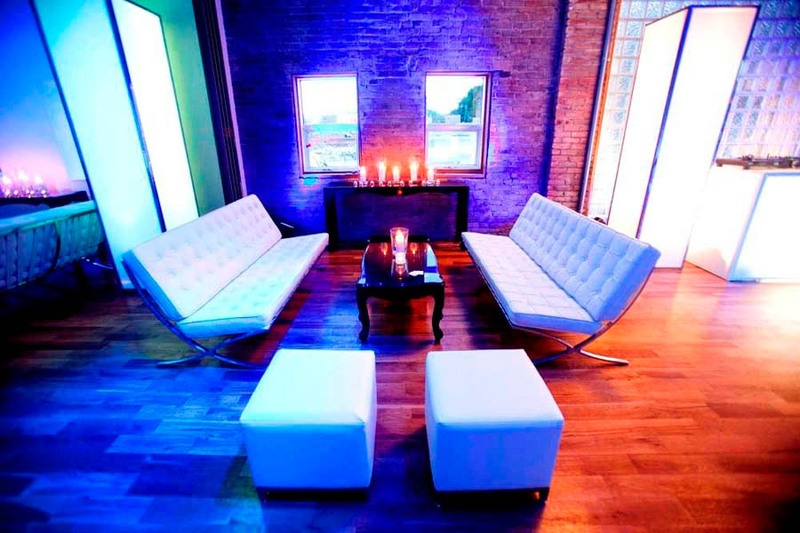 All Star Interactive is a bi-level event venue complete with bowling lanes, pool tables, kitchen, cocktail lounges, flat screen TV’s, surround sound & cosmic lighting. 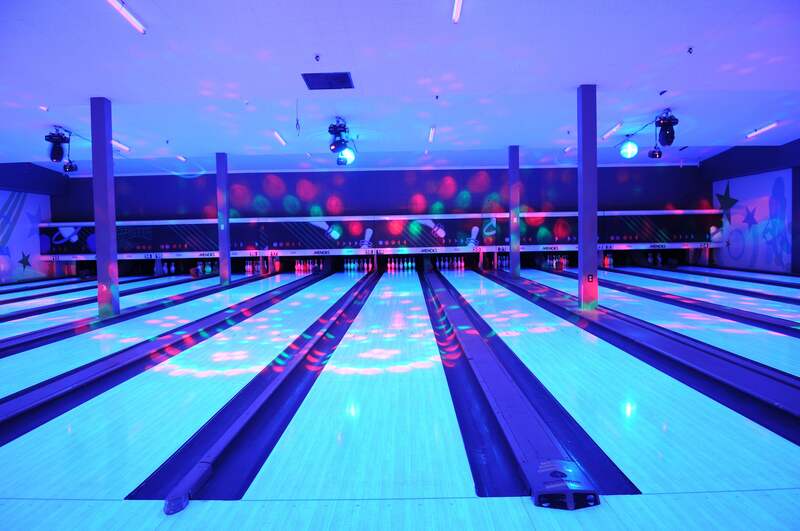 The 1st level has a traditional ambiance with glow in the dark lanes & cocktail dining. On the 2nd level is the luxurious Danforth Suite. 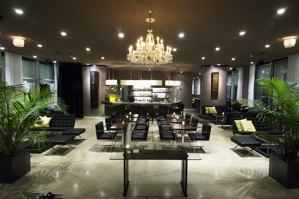 It features an elegantly designed lounge & bar with 12 stunning bowling lanes. 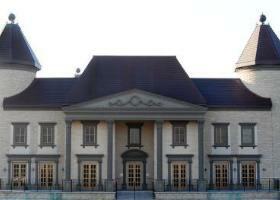 A perfect environment to host team building, fundraisers and more. 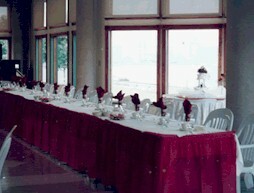 Club rents main hall for special events. 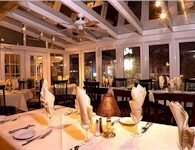 Features air conditioning, bar and kitchen and sound system. Catering available. Six tents also available for outdoor events. Family indoor playground specializes in children's parties for up to 30 children. Variety of party packages available. For children 7 months to 7 years.